DevilStone Ram is a tool for war. Use it to organize your guild into a furious battle ram! 1. Randomize to start your battle 2. 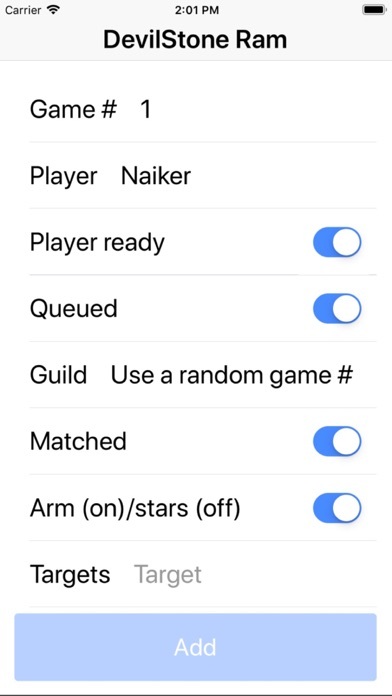 Send your guild the battle # 3. Join in on the merciless slaughter! Enter targets formatted such as "30 cupcake". The app will sort the targets numerically. Press Wake Up to make sure your display is fresh.